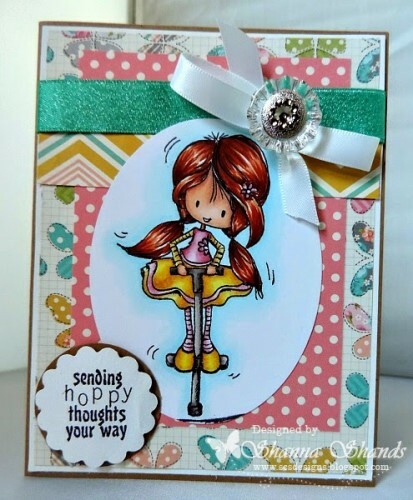 This adorable clear Tiddly Inks stamp set is called Hopping By and is designed by artist Christy Croll. This photopolymer clear stamp set (sized 3x4 inches or 6.5 x 10 cm) includes all images shown. This cutie is sized approximately 2.5 x 3.5 inches (5 x 7 cm). The other stamps are proportionally sized to her.